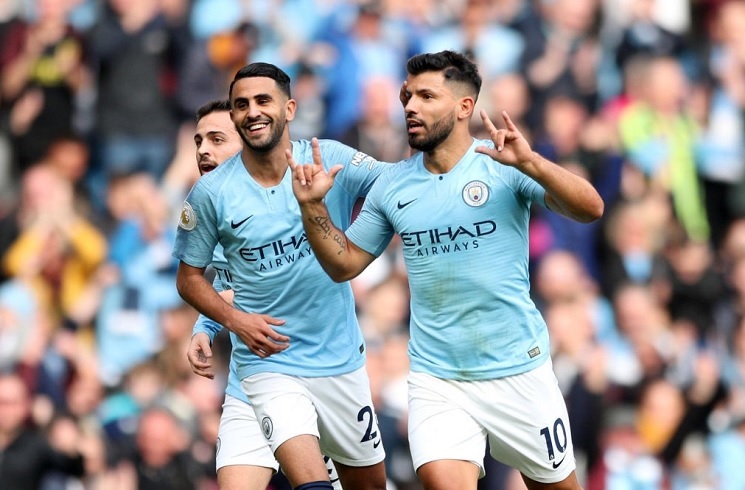 Sergio AGUERO, Roberto PEREYRA and Erik LAMELA all scored for their clubs on Saturday in the English Premier League. Beginning with Manchester City’s 5-0 win against Burnley, Sergio AGUERO continued to move up in the all time league goal scorers list. His strike to make it 1-0 was his 149th goal in 215 games for Manchester City. That goal took him to third spot for most Premier League goals for a single club as he over took Frank LAMPARD and Alan SHEARER. Only Wayne Rooney and Thierry HENRY have scored more for a single club. It was also his 6th goal of the season, moving him to second place, just one goal behind league leader Eden HAZARD of Chelsea who is on 7 goals. “He’s unbelievable. He’s helping us a lot – skills, goals, work rate, everything we can ask from a top player like him. “I feel very happy for Erik. It’s his sixth season with us. I’m happy for him, he provided the three points for the team and was very good. There was another goal scorer in England, this time Roberto Pereyra netting for Watford in their 2-0 win against Wolves. PEREYRA made it 2-0 with a lovely chip over the goalkeeper. Di Maria can’t be LF anymore. If he plays, he has to be RF, thing is Messi and Dybala play that position as well. The only was Di Maria can still contribute if he’s RF, with Messi as false 9 and Aguero as LF who would drift into CF once Messi drops deep into the midfield. That way, Tagliafico could contribute in attack as much as possible. In a 3-4-3 ish midfield diamond. there would always be 5 attacking and 5 defending. And since there would be players everywhere on the pitch, recovery of the ball would be very quick. Again this shape would form only when in possession. when defending, it’ll return to a standard 4-3-3 or even 4-4-2. Personally, I’d rather have Pavon in place of Di Maria, as he will be responisble for keeping the width with Tag and also his pace would make counters more deadly. He could also tuck in and defend in a 4-4-2 when necessary. But Scaloni will never attempt something like this. Can this b our starting line up Copa?? Dont you never ever ever ever give Higuaín even a missed call . We have a lot of good defenders these days ,,, or we had them a long time ago but the coach was just stupid . Dybala is the only hope after Messi, and judging how he’s been playing lately for Argentina… hope seems slim. He IS PSG material and their fans, who watched weekley, were pissed that he was loaned to Real Betis. Lo Celso seems to be going through a slump as he was bit off against Brazil (but so was everyone else) and a few league games. I easily see the talent and i think he’ll be key for us. Calm down, many players across Europe who were involved with their national teams did not start for their clubs. It’s common practice to rest a player after returning from international duty and Celso was fantastic when he was subbed in. Guys calm down , icardi is nit going to score for National Team. I mean the goal, you need to give credit the player who crossed. Who will provide that cross in NT? Apart from Acuna, I don’t see anyone. So unless we provide crosses , icardi don’t suit us. No solari is plan B for realmadrid , perez is not impressed by solari’s job either so perez is trying for conte temporary replacement or may be to bring back zidane in summer. Lets watch today Icardi vs Higuan. 1 The Coach. 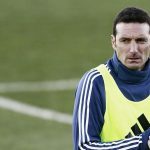 There is no one who is interested neither Scaloni won’t be continuing. 2 The Goal Keeper. Armani is only hope. But he too makes sloppy mistakes sometimes I guess. Other positions at least we have some well talented players as starters as well as backups. Tata Martino says AFA become more worse than when he departed. This criticism by Tata is a good news as per me. Well It was and is worse please don’t worsen it more by returning dear Tata. 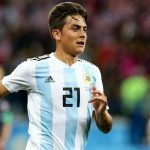 Lamela and Lanzini can change the fate of Argentina.only problem is they are injury prone especially Lanzini.Dybla needs regular service to score goal,his height is small and he is not a kind of sprinter but his shoot is very powerful and almost accurate.He has positional sense too. “Lamela and Lanzini can change the fate of Argentina.only problem is they are injury prone especially Lanzini”. People should learn more from recent past. Too much no-brainers and bold statements. Not long ago Dybala was such no-brainer. There’s no single player who can change the fate. Even Messi – as we saw. Maybe the players really should be in NT (especially Lanzini for me) but wheter they will able to dramatically change everything is uncertain. Dybala isn’t doing well but i cant expect him to thrive him a system with no attacking identity. You and I will disagree but lets see how Dybala does when Scaloni actually focuses on attack, passing well, support, 1-2s..because so far, Dyaba cannot thrive in an anti attacking system as saw against Brazil. I do agree though no single player can change fate, for the most part, and we should not put such heavy expectations on a single player. Gonzalo get out of superliga players . Yes its true i dont watch superliga matches because no one likes to watch them. But its true you superliga players are nowhere near european players. You forgot barcelona crushed boca 4-0 just for fun. In mordern football no country can win WC by putting local league players 1 or 2 players ok but not more than than. Then you will give me the example of saravia. Yes i accept he won the battle with neymar , but every time he wont just have to mark neymar his passing accuracy is horrible ,he had never helped in attack he is not proper right back he didnt do anything else. You are embodiment of all possible stupidity. Sound like KidultHood. Speak for yourself not for whole Mundo comunity. “You forgot barcelona crushed boca 4-0 just for fun”. Either liar or just didn’t watched the game. Was 3:0. And in that time even some teams from local league were winning with Boca. The description of Saravia game is just fraud propaganda by you. You are fighting the local league names because you simply don’t know what we are talking about and it’s hard for you. i am not talking about mundo community , i am talking as a general. my mistake i forgot the scoreline it was 3-0,not worth rembering because they were playing like dead men. And i told the facts about saravia . And i m not a fraud you are a just manupulating the people here , any guy , if he use the brain will understant what i am trying to say. And if u are are bragging about J correa then keep waiting for his call for NT till 2025, we have lots of better than him in that position cervi, piati, de paul,ocampos, acosta,acuna and even dimaria as a super sub. “J correa will never get a chance in NT , its better to play with 10 men than calling j correa”. I bet you even don’t know he already had some minutes in NT and even scored a goal. So don’t be so assured he will never come back. i m not more arrogant than you. almost everyone know this, but after that he never get a call after singapore match, if he would be that much talanted sampoli and scaloni watched him in sevilla would have definitely got a call for NT. what about this your problem is you understimate others knowledge, you may be knowing 1 or 2 things about superliga but you are very bad in football tactics. There’s so many players shelved for some time after first call ups that I don’t need even argue there’s no logic in your statement. Totally agree with #1 and first part of #2 (potential) but although we must have continuity, there are players that we should test out like Lamela and Lanzini when he’s better. Overall, i want competition, i don’t want players feeling like their position is guaranteed, even Messi. I mean with the help from Messi Augreo and Banega,Lanzini and Lamela can fill the hole which drains Argentina.Lanzini and Lamela are missing link we need them. But you always supported Meza before the WC who has nothing,you only pick players from domestic league.Both of them(manu and lamela) ays similar if one gets injured other can take his place. “Lanzini and Lamela are missing link we need them”. So naive and childish from you. We don’t really know who is our missing link. I was following Lanzini yet in River times, then talking about him here when he was on Arabian Peninsula. Lamela? Since 2011 (one of my fav players during the 15 goals season in Roma). So stop talk to me about potentiall of this players. Your assurance is nothing more than lack of experience and mere on paper imaginations. Lanzini and Lamela may or may not click in NT . No, the difference between you and me is I’m not that naive. No single player is able to change things dramatically. While you are now talking something about 2 players as if the Holy Grail was finally founded. It’s easy to say this or that player out of NT is the answer if only the current one on the same position didn’t looked best. “Higuain should start over anyone.He draws defenders away from Messi.He will score sooner or later.Nigeria game during the shot he was on his weak left foot. I think our 4 man back line and its sub and Armani are best.I like Taglafico more he always tries his heart out.This is the will determination.We should take care of corners we have best header in form of Otamendi.Rojo and Higuain are good too.Banega’s defence splitting passes are awesome.Messi is in top form in front of goal.Enzo is good box to box.Masche is good in tackling Di maria is fast.We can win the match”. Gonzalo few day ago you were not ok with otamendi , now are putting him in starting line up after brazil match, you always contradicts your statement. mifield of paredes , locelso and palacios , all three players are mistake prone will be cost us against good team ascacibar must be there to cover up mistakes or may be battaglia. I’m against jumping from one player to another. Funes Mori was good. I was for him. But if it’s fact Scaloni brought back Otamendi and defence did good no reson not to continue with the same defensive line up. So I have him in my line up. There’s no contradiction. Just priority of NT good over my propositions. I’m not you to say: ” he (Saravia) is not proper right back” (even if the player was one of our best) just because you disfavour him. Difference is: I can abstract from my own favourites if I see the other are doing good. You can’t that. Where they cost us so far? Especially Palacios who even didn’t played against Brazil. Against Colombia we didn’t conceeded goal. Beyond that you’ve never saw Palacios so your statement is completely baseless. anyone who watched their game locelso, paredes, palacios know they are mistake prone, no doubt they are good players , i have watched some matches of palacios also . If we didnt concede it doesnt mean they are not mistake prone , paredes did some mistakes against brazil and locelso lost possesion in dangerous area. Gonanzlo in that case I was only wrong about Enzo Perez,firstly I wanted Angel Correa in place of Lanzini but Mad Sampa called Enzo and I went for his last match vs Equador Enzo was good there but in WC he was like dead man no stamina no energy complete waste. Lamela + Lanzini is definitely an exciting prospect!.. but they are GLASS…lets hope they stay injury free. 433is the best for new Argentina national team. No-brainier, Super KUN should and will be on the team soon and i just don’t see a reason to exclude Lamela from this day forward! it really is a no brainer for both..
Then Marinez or Aguero should start until any one of them prove otherwise. We need competition for the starting spots..not guarantees. His runs were driving Lazio attacks in the end. hes not too slow but regardless, we still need 1 of Martinez, Icardi, Aguero on the pitch at all times. Lautaro Martinez is not really fast but not really slow too. And he is so much strong physically. Should start both friendlies against Mexico. So far had just one start. One goal. So needs much more minutes. minutes when lazio scored pen.. He is inconsistent like many arg players. Initially He had some hesitant driblings with losts but toward the end he was doing better and better. You must notice that his presence brought a lot of movement. He could easily have assist after great run if not missed shoot of his partner. gonzalo you are stupid, excuse, excuse and excuse about j correa. He sent a good cross from the left right after he came on. But yeah, he wasn’t very good after that. At Sevilla, I thought his final ball was lacking. I think he’s improving at Lazio in that respect. Lamela ‘s hard work is finally paying off .. last time he was in such form , he was still playing for Roma..He would have scored plenty of goals last season also after coming back from injury but his selfish teammates wouldn’t pass to him even though he was in far better position than others. My only concern with Lamela’s playing style is he often holds on to the ball longer than he should, which results in loss of possession or missing out on a good attacking opportunity . He is a natural enganche so may be its comes naturally to him . I remember how Riquelme had all the time in the world before he would make the final pass. He needs to be more consistent. godin11: yas agreed lamela does need to be more consistent and that is what makes poch a very good manager as poch is challenging and telling lamela to do better all of the time not just once in every 5 matches, he has the talent, skill, stamina and fight without a doubt and lets hope his injury curse is behind him as that has done his career no favor’s at all. if lamela can keep this wonderful form up he much be called into the n/t again.